Here are some frequently asked questions about long-term care Medicaid Planning. 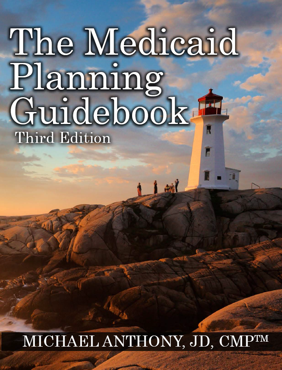 These brief answers are explained in much greater detail in the Medicaid Planning Guidebook or through the Medicaid Planning Course. Q. Why do people need to plan for long-term care expenses? A. 80 million American’s will be over 65 by 2040; 75% will require long-term care of some kind during their lifetime. Of that at least half will require care for a minimum of one year and at least one-fifth will require care for more than five years). The average monthly private pay cost for nursing home care is over $6,000 a month and in many parts of the country can be over $10,000 a month. Medicare doesn’t cover more than 100 days of skilled care and most Americans have failed to buy or keep long-term care insurance – or worse, they have the insurance but it doesn’t cover the entire cost of care. Q. What are the main sources for funding long-term care in the US? A. There are 5 main sources for funding long-term care in the US. The largest payer of long-term care is Medicaid, a means-tested benefit with complicated eligibility rules. Typically before a person becomes eligible, they use their personal financial resources which is the second leading funding source. In many cases, personal financial resources are supplemented by long-term care insurance for the small percentage of care recipients who have coverage. Additionally, long-term care Veterans benefits are triggered when a qualified person pays for long-term care expenses out his or her own funds, but the benefit itself is not considered a payment for care but an improved pension to provide the recipient extra money to live on. Lastly, Medicare does cover some expenses in a nursing home, but only for a limited duration (no more than 100 days of care with co-pays). (very limited), 2) LTC Insurance (too few people have it), 3) Private Pay (what most people who do not plan will end up doing with their money), 4) Medicaid. Q. How much in countable assets can a single person have in order to qualify for long-term care Medicaid? A. This amount varies from state to state, with most states using the $2,000 asset limit. Missouri is on the low end requiring assets to be below $1,000 and New York is limiting asset so $14,850 (2016 figures). This goes by many names depending on the state, but is commonly known as the Individual Countable Resource Allowance. Some states increase this figure annually based on inflation. A state like Pennsylvania also gives an extra $6,000 disregard to single applicants who have low incomes. These paltry limits cause near complete financial devastation when a person need to pay for long-term care for any extended length of time. Q. What is the Medicaid lookback period and how does it affect Medicaid eligibility? A. The lookback period is the time before the Medicaid application that Medicaid will look back to see if the applicant or the applicant’s spouse transferred or gave away assets for less than fair-market value. In 49 states this lookback period is 60 months; however, in California the state has dragged its feet on implementing the 36-month lookback required by OBRA 93 and the 60-month lookback required by the DRA of 2006 and continues to use the original 30-month lookback first introduced in the MCCA. Medicaid does not prohibit transfers during this period, it merely assesses a penalty period if transfers are made. Note: Medicaid only has a lookback period for transfer before an application for long-term care Medicaid and not for their community health insurance program. Q. What is a period of ineligibility or penalty period? A. When an applicant makes a gift or transfer of assets within the lookback period, Medicaid will treat it as an uncompensated transfer and assess a prospective penalty period. 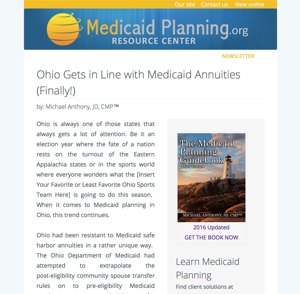 This penalty period is a length of time the applicant is ineligible for Medicaid only if they were otherwise eligible for coverage. The length of the penalty is calculated by taking the total amount of the gifts/transfers and dividing by the average cost of care in the state or region at the time the application is filed. California still uses the gift date as the penalty start date while all other states use the application date as the start date unless the gift is done after Medicaid is approved, once Medicaid is paying for care any subsequent penalty periods start from the date the gift is given or reported. For example, in most states if an applicant gifted $60,000 to a child or trust three years ago and applies for Medicaid today and is otherwise eligible for benefits, the penalty period would be 10 months if the average cost of care was $6,000 a month. The applicant would be both destitute and ineligible for any assistance during that 10-month penalty period. Q. What are exempt and non-countable assets? • Homestead – The homestead is exempt for a married applicant with a community spouse. If the applicant does not have a community spouse, the homesteads is only exempt if the applicant intends to return home and the home’s equity falls below the state’s equity cap. Many states require the home to be sold after a certain period of time when they presume the applicant is not going to return. • Some Life Insurance – Term life policies are excluded and some small life insurance policies are excluded. States vary in the amount that they exclude. In most states, the life insurance must be less than $1,500 in face value to have its cash value excluded. • Irrevocable Funeral Trusts – Most states allow for the purchase of a funeral or burial, provided it is in an irrevocable trust. State set limits on the amount that can be spent on these pre-need funeral trusts, with the most common being $15,000. In Pennsylvania, they set the maximum amount by county. • Personal Property – Medicaid will disregard personal property and belongings (e.g., clothes, furniture, etc.) provided that they are not considered investment-grade. The print of a Piccasso you buy at Wal-Mart would be excluded; buying an actual Picasso would not. • Community Spouse Resource Allowance (CSRA) – For applicants with a community spouse, the spousal impoverishment rules kick in and protect a certain amount of resources for the community spouse. For 2016, the maximum allowable CSRA is $119,220. This amount adjusts annually. Many states use a formula to determine the amount of the CSRA. The CSRA can be made up of a wide variety of assets, but those assets are typically required to be re-titled in the name of the community spouse shortly after Medicaid is approved for the applicant. Q. What is Medicaid estate recovery? A. When someone who received financial assistance from Medicaid dies, the government looks to the assets of the decedent to recoup expenses paid for by the government for long-term care. States vary as to which assets they can collect from with some having aggressive recovery and others only minimual recovery rules. Any Medicaid asset protection plan must take into account asset protection from the Medicaid spenddown and protection of assets from possible recovery after the Medciad recipient dies. Q. Is there a limit to the amount of income I can have and qualify for long-term care Medicaid? A. In most cases, the only time you are ineligible for long-term care Medicaid is if your income exceeds the cost of care. Even then, if you have a community spouse to support you may still be eligible. Some states put in an actual income cap; however, federal rules allow anyone with high care expenses to defeat the income cap by using a Qualified Income Trust (QIT) also known as a Miller Trust. The income cap/limit for 2016 is $2,199 and is adjusted annually. Q. Are you seeking more answers?